But if you want to watch TV, then you will usually need a TV licence. 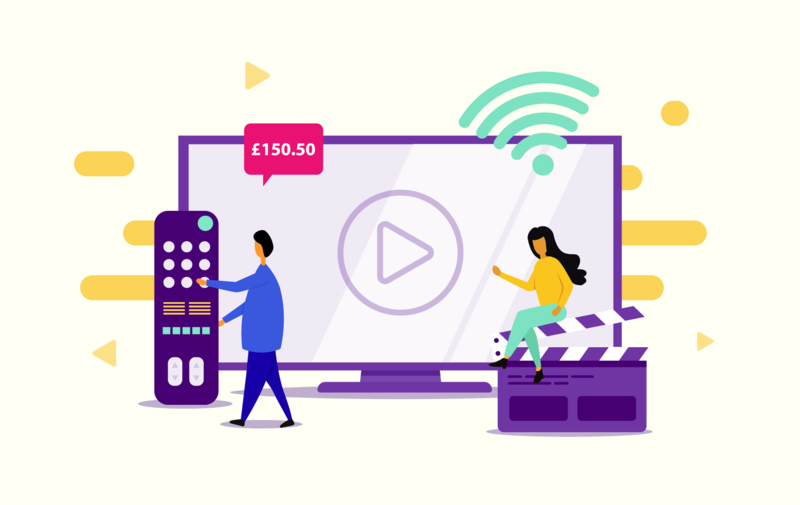 If you watch or record live TV through your television, or stream the shows live through a streaming service, you will need to have a TV licence. So whether you watch Strictly live or catch up with it on the iPlayer, you will need to stump up the £150.50 that a standard TV licence costs. This applies no matter what device you use as well. This doesn’t just apply to British broadcasters either. If you are watching satellite TV being broadcast from overseas, you will need to have a licence in place as well. If you only watch catch-up services, for example All4 or ITV Player, then you don’t need a TV licence. There is an exception though, and that’s the BBC iPlayer. If you ever use the iPlayer - even if it’s only to catch up on shows that have already gone out live - then you will need to have a licence. What about Netflix, Amazon and YouTube? Millions of people in the UK have a subscription to a streaming service like Netflix or Amazon Prime. Thankfully you don’t need to have a TV licence for these, so if they are the extent of your TV watching, you can save some cash. It’s the same with YouTube - even if you stream it directly onto your telly, no licence is required. If you believe that your TV habits don’t necessitate paying for a TV licence, then you will need to inform TV Licensing. You can complete a declaration on its website that you don’t need a licence, though the organisation may still carry out a home visit to check that you aren’t bending the truth. There are a few different circumstances in which you can apply to get a refund on your TV licence. For example, while students do still have to stump up for the TV licence, if they move home for the summer break, then they can ask for a refund for the remaining months. So for example they might purchase the license in September but not need it from June onwards, so could get a couple of months of payments back. If you are moving house or your viewing habits change so that you no longer need a licence, you can also apply for a refund. Who gets a free TV licence? There is no charge for getting a TV licence if you are over the age of 75. In fact, if you are 74 and your licence is due to run out shortly before your birthday, you can get a short-term licence to cover the period until you hit 75. Different rules apply if you live in the Channel Islands however. If you are blind or partially sighted, you will still need to have a TV licence though it is only half the price of a normal licence. It’s against the law to watch live TV without having a licence in place. Enforcement officers are out and about every day checking whether people that claim they don’t need a licence are actually watching TV - more than 700 people are caught every single day. As a result, you face a fine of £1,000 plus prosecution if you try to dodge paying for your licence.